I’m a product of a good, strong country church. When I was in high school, I noted I was related to every deacon, one way or another (I was related twice to some). I love my home church. So what would I do if I pastored a country church? If I pastored a country church, I’d remember relationships matter more in the country. Cousins are closer in the country. Relationships can be tangled, and not easily discarded. If a friend lets you down, there may not be a deep pool of replacements to choose from. You may put up with a difficult boss because he is your wife’s second cousin and good jobs are hard to find. I’d also remember relationships last a long time in the country. The relational economy moves slower and memories are long. In one of the country churches I served, I did not know that one of my stalwart deacons and key leaders in the church had been married and divorced. Everyone else knew but me. Once I discovered this fact, the dynamics of many deacon’s meetings became sense. 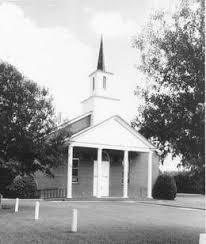 If I pastored a country church, I would visit a lot. Kennon Callahan wisely advised, “For every hour you spend preparing to preach, spend an hour visiting.” Visitation is not dead, it’s just relocated. There’s a place in most rural communities where the men gather for breakfast. If I pastored in the country, I’d eat breakfast there three times a week and touch a dozen people. I would visit house to house at least two afternoons a week. It is still possible to do door to door visitation in small towns and in the country. I’d tell people if they ever need a pastor, call me. I’d invite them to church. If I pastored a country church, I would make sure my sermons had stories. I’m not saying content needs to be watered down. Country folks are not dumb. But most country folks I know love a good story. I’d make sure my stories related to their world. When I pastored in rural Kentucky, my stories about growing orange trees didn’t connect very well. But my stories about dealing with cows did; almost everyone had twenty acres and five cows. When I moved into Louisville to pastor, neither my cow or orange stories worked very well. If I pastored a country church, I’d find out who makes the decisions. In every church there a couple of people who really make the decisions. They may or may not be on a committee. But if one of these folks think it’s a good idea to paint the church, the church will get painted. Young pastors particularly bristle at the idea of needing the permission of lay leaders to get things done. I know I did. But the reality is these key leaders have seen pastors come and go and they consider themselves as protectors of the church. They may not approve of everything you do, but if they are on your side, whatever it is you think God is calling the church to do will get easier. If I pastored a country church, I’d show up. I know, you can’t be everywhere. But I’d show up at every high school football game (or basketball game, depending on what part of the country you’re in). I’d serve in a booth at the county fair. I’d go to the local hospital to visit at least four days a week. If something was going on at church, I’d stick my head to say “Hi!” I might not stay the whole time, but I’d show up. My sister-in-law serves on a key committee at her church. She recently told me the pastor didn’t come to the meetings. What the pastor was communicating, intentionally or unintentionally, was “I don’t care what you do.” Bad message to send. Finally, if I pastored a country church, I’d spend time on the job. Most country folks work a job and then have their side job. They may work in town (old timers in Kentucky called it ‘public’ work), but as soon they come home, they are on a tractor, or fixing a car in the barn, or welding something for a neighbor. They appreciate a pastor who gets up early and puts in time on the job. I thought I would be country pastor like my grandfather and uncles. God had other plans. But if I had the chance, I’d try these things!